The host for this years’ event was Atlanta’s Todd Gray, director of supplier diversity for Grady Health System. The keynote speaker is Lee Rhyant, President of LER Solutions and former Executive Vice President and General Manager for the Marietta, Ga. facility of Lockheed Martin Aeronautics Company. Other special invited dignitaries that will be in attendance includes: Randy Rolle, Bahamas Consul General, Huei -Yuan (Steven) Tai Director General of Taiwan, Mayor Jack Longino, City of College Park, Mike Glanton, State Representative District 75 and Miguell Southwell, GM – Hartsfield-Jackson Atlanta International Airport. 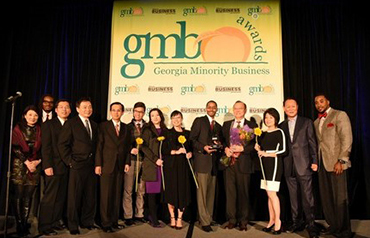 GMBA’s mission is “Developing relationships that reach out to all cultures by hosting and rewarding Georgia’s top business, civic and organization leaders that have promoted and demonstrated diversity in the workplace.